4 bedrooms, 2 bathrooms walking distance to town and sights. 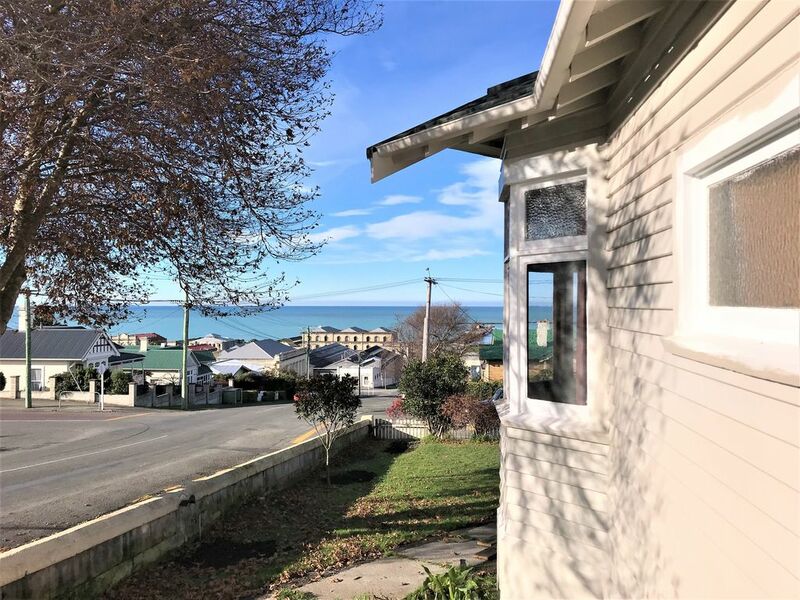 This beautiful character home is an easy stroll to restaurants, pubs, brewery, shops, the historic Victorian precinct, Steampunk HQ and the Oamaru blue penguin colony. Perfect location and a safe neighbourhood. Good for couples, business travelers, families and groups. Newly renovated while retaining the old charm with ocean and harbour views. Warm, comfortable and fully equipped for living. The house was so warm and comfortable,everything had been thought of,Lovely Decor,great central location.It was a fantastic place to stay,couldnt have been happier.Will be booking again as dont think any other place would be able to meet a large groups needs as well as this one. Awesome location. Beautiful, clean and comfortable period house. Very attentive and helpful owners.